Notes: Last Shot Distillery is one of the newest distilleries in New York State ( producing, selling and aging products not just setting up as many are). Run by Chris Uyehara and a very small team, Chris is a master chef and pastry chef and brings his art and attention to detail to all his products. Last Shot uses water from the local Finger Lake Skaneateles Lake, with minimal filtering ( just to remove any chlorine) to maintain a local character to the water and spirit, rather than use RO water which to me is completely boring and neutral filler for a spirit. 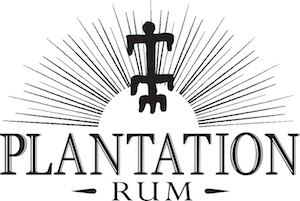 While the distillery itself is barely two years old at present, they still have a very ambitious whiskey program with stocks or Rye, Bourbon and even Triticale. 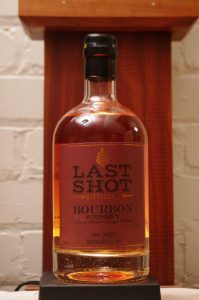 This is one of his newest releases The Last Shot Bourbon Batch 14 – a 2 Year -old bourbon whiskey aged in a new charred oak 30-gallon barrels. Previous releases were the first release from 5 gallons at about 3 months, then three times as big at 15 gallons and aged for three as long at 12 months. Although Chris is very careful to barrel when it is at its peak and not sticking to a particular age just for bragging rights or public perception. Made in small – about 100 gallon stills, they concentrate on small batch and quality. 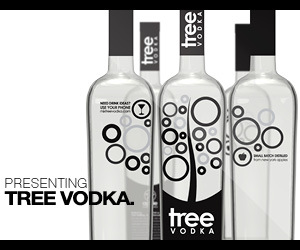 Their current line up includes a nicely flavorful vodka, a 100% corn unaged white whiskey, a dry white maple distillate, a sweet maple distillate, a gin, and an unaged white whiskey called Lightning Whiskey using a bourbon mash bill and named after a famous class/type sailboat that was made on the property. The white whiskey was put in fresh new charred American oak barrels and now that stocks of this whiskey have been aged and bottled it is now a bourbon and what we are reviewing today! Appearance: Clear, beautiful Baltic amber gold, leaves a very even coat on the glass and forms legs and loads of droplets on the glass – more than I have ever seen in a whiskey! Drinks: Makes for an outstanding Manhattan with the bitters and cherry making for a lovely quartet with the right vermouth. While some may find the body a bit young and a touch light around the edges, this is how a Manhattan used to be, made with a young spritely whiskey. In an Old Fashioned and a Whiskey Sour the nice aromatics blend well with the other ingredients and make for a slightly lighter but charming version of those drinks than you would find in a say 6 year old whiskey, but the freshness of the whiskey, while still having woody notes is a refreshing change. Bottle: Quite similar to the other Whiskey packages/products they produce and only differing in minor details ( such as the type of whiskey of course) Well done and distinctive label – unlike most. The label for the bourbons is a dark brown, with the Distillers Reserve Whisky being dark green. Other spirits have different colors for each type. making them easy to distinguish from each other at a glance. Clear glass apothecary type bottle with nicely weighty decanter type bottom and a good grade of glass and a black topped ridged stopper – which is particularly convenient as it affords a good grip for easy opening. Composite cork guaranties a good seal and no loss or leakage. Sealed with a black neckwear/capsule that has a thankfully contrasting pull ribbon and is easy to remove. Final Thoughts: Young, assertive, and a little rough around the edges but shows a deft hand and great future for both it and the distillery.